Quiz: Which Are Real Founding Fathers Quotes, and Which Are Often Cited but Made Up? As George Washington once said, "Ye shall celebrate the Fourth of July with tests of knowledge!" 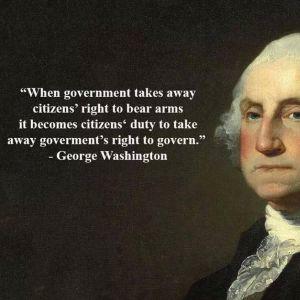 Washington never said that. He never said a lot of the quotes that are regularly attributed to him. According to the Mount Vernon website, even the famous "I cannot tell a lie" story of Washington cutting down a cherry tree is probably apocryphal. False quotes from Washington and other Founding Fathers are often used to back up modern-day political arguments. Here's one example, via Politifact. "There is no evidence that Washington ever wrote or said these words, or any like them," Politifact's source said. Andrew Kaczynski and Megan Apper of Buzzfeed are particularly vigilant in calling out politicians for using fake quotes, once having found nearly every Founding Father quote posted on a congressional candidate's social-media platforms to be false. Below, we've compiled a list of quotes attributed to the Founding Fathers (and a few from Abraham Lincoln). It's your job to determine which are verifiable, and which are not.